The death of Michael Jackson this summer prompted a slew of familiar-sounding opinion pieces proclaiming—yet again—the death of “monoculture.” As the legend has it, once upon a time, in the days before cable and the internet, we all (or at least more of us than currently) shared common experiences thanks to the wide popularity of certain mega-event movies, TV shows and albums. Nearly everyone was aware of Thriller. A large chunk of the country watched M*A*S*H*, or went to see Raiders Of The Lost Ark. Now we’re all “bowling alone” (to use another outdated buzz term), as we share our tastes and even our political opinions with an ever-smaller group of people. There’s less and less to unite us. That’s a romantic vision of the past—and a melancholy vision of the present—and it’s not entirely untrue. Record sales are down. Television audiences have fragmented. These are hard facts to deny. And yet if I hesitate to join in tsk-tsking the end of a golden age, it’s for a couple of reasons. For one, I’m not so sure that ending “monoculture” is such a tragedy. As comforting as it was in olden times to know that just about anyone you’d meet on the street would’ve heard the latest Madonna single or would know what happened on Dallas that week, if you were the sort of person who preferred The Young Ones and Hüsker Dü, you could feel pretty excluded from the cultural conversation. Worse, you could start to have an off-kilter attitude to popular success, feeling either that the musicians and filmmakers you liked should be more popular, or alternately that any concession by them to the mainstream was a betrayal. Nowadays, it’s much easier for artists to find their proper level of commercial success, playing to an audience that’s more connected to each other than they’ve ever been. So that’s a positive to the death of “monoculture”… assuming that “monoculture” is dead. Me, I’m not writing any obits just yet, because in my experience the media is never more wrong than when it’s making predictions about itself. Yes I’m fully aware that I’m a part of the media—which means I’m undercutting myself here—but I can still come up with multiple examples of “this is the way things are” analysis that have proven to be less than gold-plated. I can remember the late ‘90s, when pop music critics were scrambling to declare guitar-based rock dead and electronica the music of the future. True, rock hasn’t made any great creative strides since then, but teen-pop is more guitar-driven than ever, while electronica has gone back to being more or less a niche genre. And I can remember any given year in the post-computer-game era, when analysts have continually insisted that movies and TV shows were due to become more interactive. Yet outside of the occasional DVD special feature, reality competition vote, or “buy this” link, most people seem content to consume stories the way they always have, without becoming an active participant. Here's a more recent example: Over the weekend I watched the documentary We Live In Public, and though there’s a lot about the movie to recommend it, I was annoyed by director Ondi Timoner’s attempts to paint social media/networking sites like YouTube, Twitter, Facebook and MySpace as examples of people giving up their privacy for a chance to be noticed… or perhaps even to be famous. This is a common critique of Twitter: “I don’t need to know what a bunch of strangers had for lunch.” And yet that’s so far removed from the way I use the service that I’m unsure where to begin refuting it. Personally, I only follow a small group of people on Twitter, and I have a limited circle of friends of Facebook. Most of these are people I know—or at least know of. We’re talking to each other about things we’re presumably all interested in; we’re sharing quick thoughts on movies, TV, kids, and the petty annoyances and subtle joys of a passing day. The other day one of my Twitter-followers—someone I don’t follow, I hasten to note—complained that he didn’t like me having a six-or-seven-Tweet exchange with a friend and thereby “cluttering up his feed.” And all I could think was, “Dude, following me is not compulsory.” I think that’s what critics of Twitter often fail to understand. Though some may use Twitter and Facebook as one big “look at me,” the majority are just trying to stay connected with friends, old and new. I don’t blame the media for presuming that the only reason these services are popular is because they let regular Janes and Joes pretend they’re reality TV stars. A lot of media types are on Twitter and Facebook themselves (often under orders from their bosses, who want to expand the brand), and it’s a byproduct of our natural vanity to presume that the amateurs are wannabes. It’s the same reason the media presumes that more people have internet-enabled personal computers than actually do, or that a significant number of people care about Jon and Kate Gosselin. We in the media are surrounded by people like us, and so we assume that everyone is like us. When in fact, frequently, we aren’t even talking about subjects that a mass audience cares about. Which brings us back to the original topic. Consider this: One of the most popular albums in the country right now is George Strait’s Twang, which sold 155,000 copies in its first week. 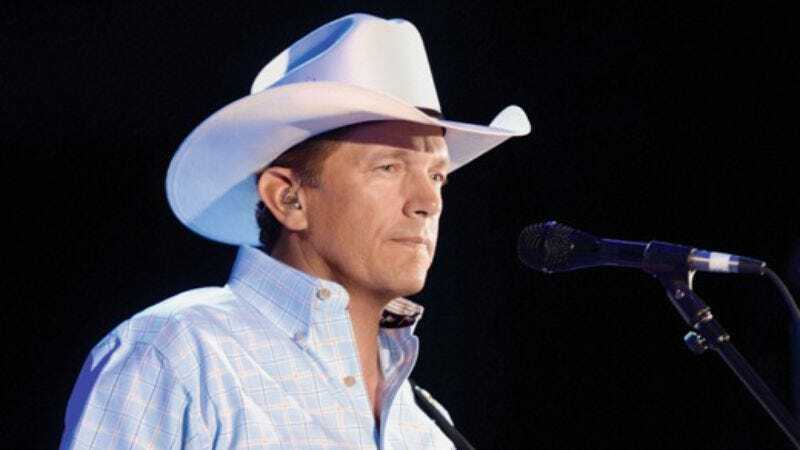 Strait also had a high-rated TV special on CBS earlier this year. Last week the Top 10 Nielsen-rated TV shows included repeats—repeats, mind you—of NCIS and The Big Bang Theory. Yet if you perused the major entertainment news and review sources over the past month, you weren’t likely to find a whole lot of NCIS coverage. If anything, you’d think the whole country had gone Mad Men crazy, when in fact less than 2% of Americans watch the show on a regular basis. Let me make this clear: I’m not calling for Entertainment Weekly to start putting NCIS on the cover every week. (Though I’d prefer it to another Twilight photo, that’s for sure.) I just think that while the entertainment media should stump for quality whenever possible, we shouldn't underestimate reality. In the real world, the three-camera sitcom didn’t die just because TV critics said it had, and the viewing public hasn’t given up on procedurals just because people who write for magazines think they’re un-hip. Maybe there’s no Thriller on the shelves right now, and no M*A*S*H* on TV, but that doesn’t mean that popular culture is completely devoid of entertainment enjoyed en masse. The numbers may be smaller, but consumers still watch and listen in bunches. It’s just that lately, the popular successes aren’t always critical successes. And they’re not critical flops, either. They’re just… ignored. Those who write that “monoculture” is dead are describing their own relationship to that culture, more than anything. What they’re really saying is that they’re not venturing far enough outside their social circle to meet the people who are watching CBS.